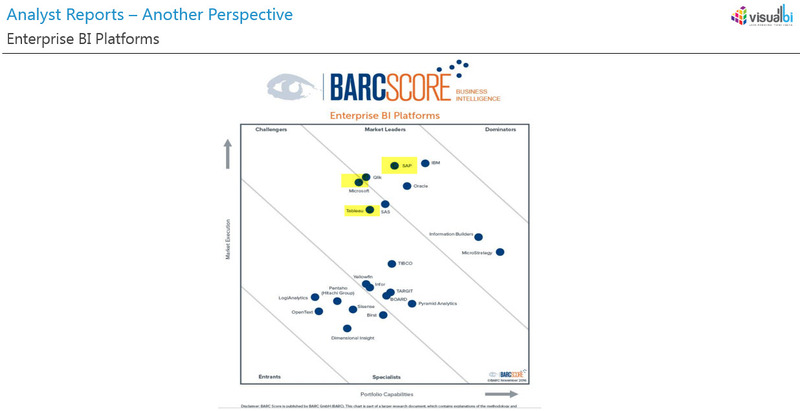 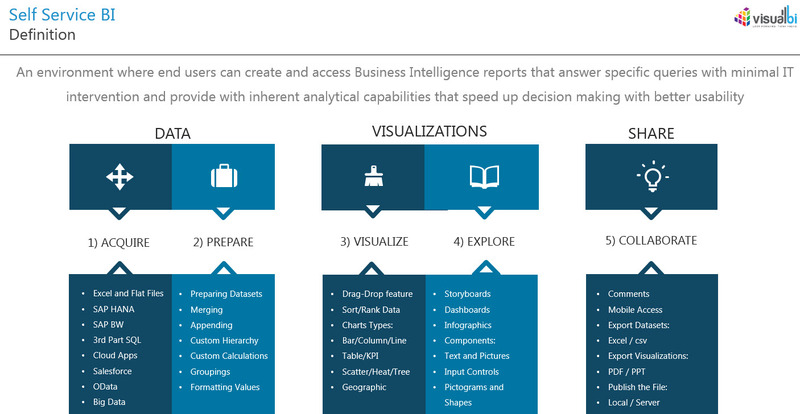 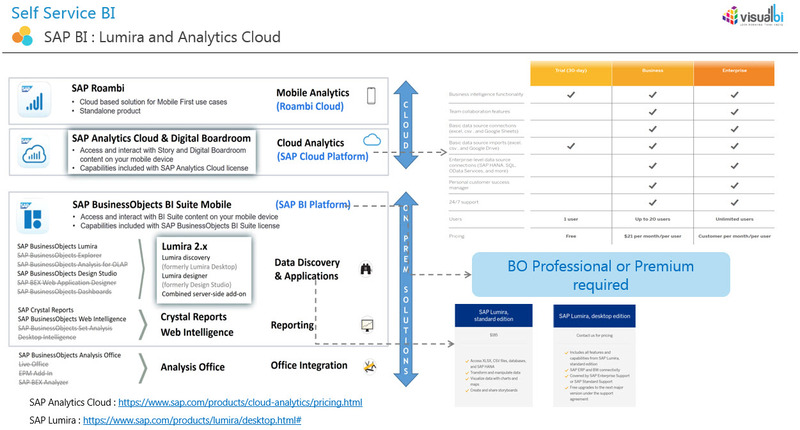 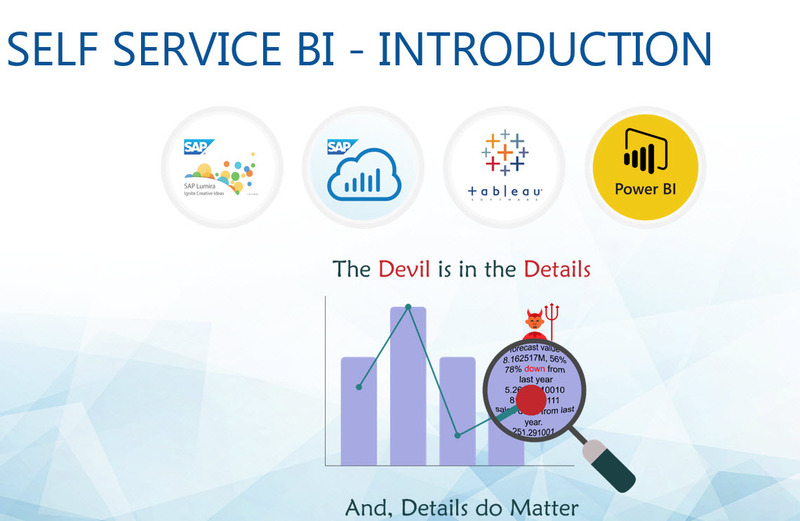 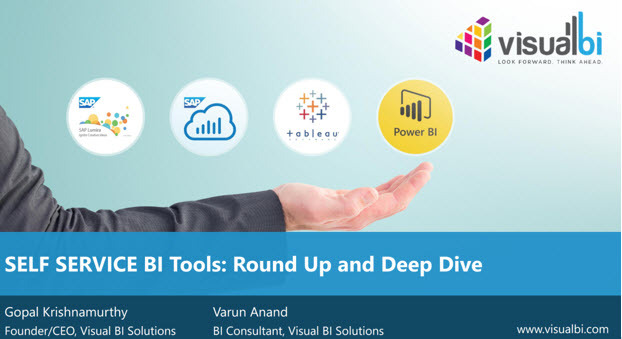 This was a webcast given by Visual BI last week. 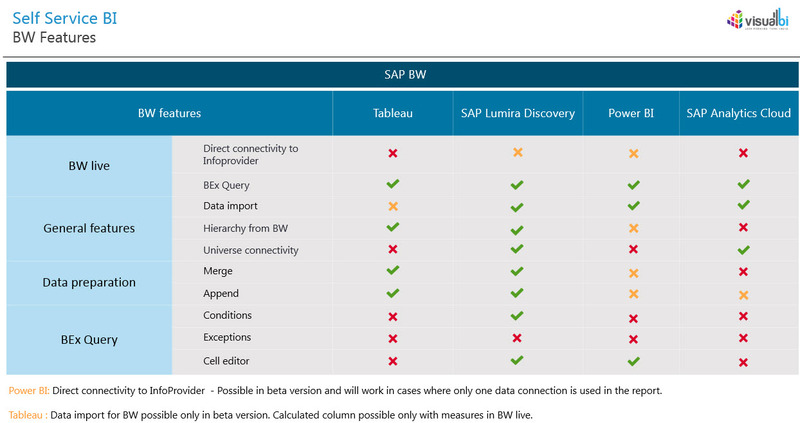 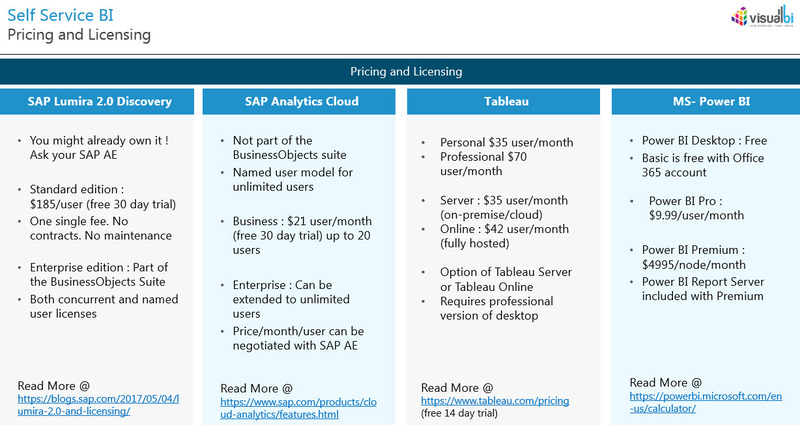 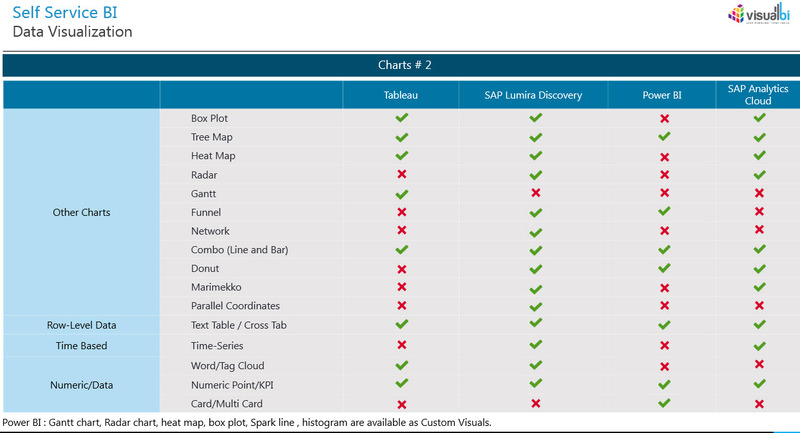 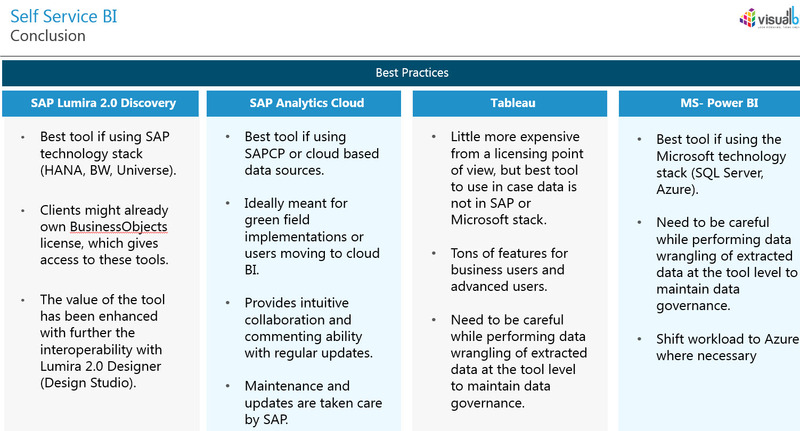 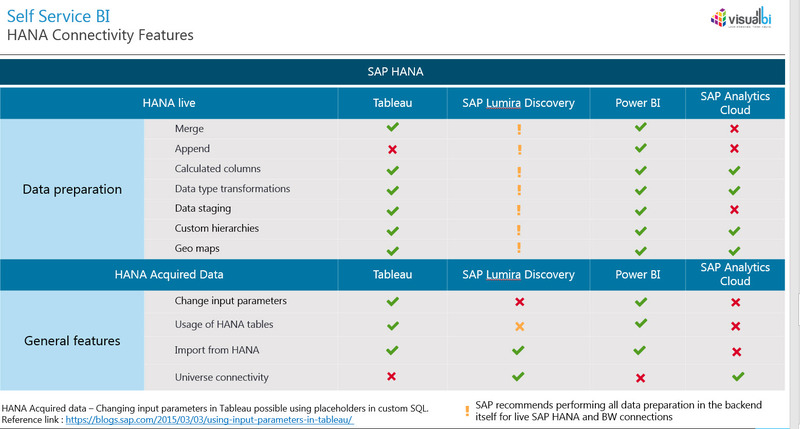 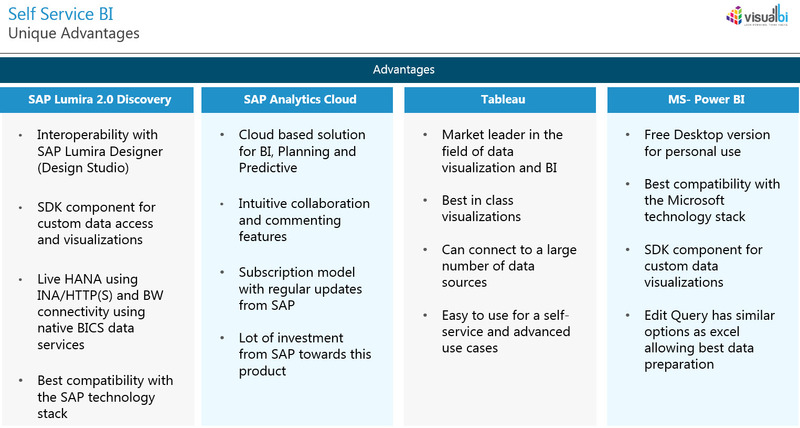 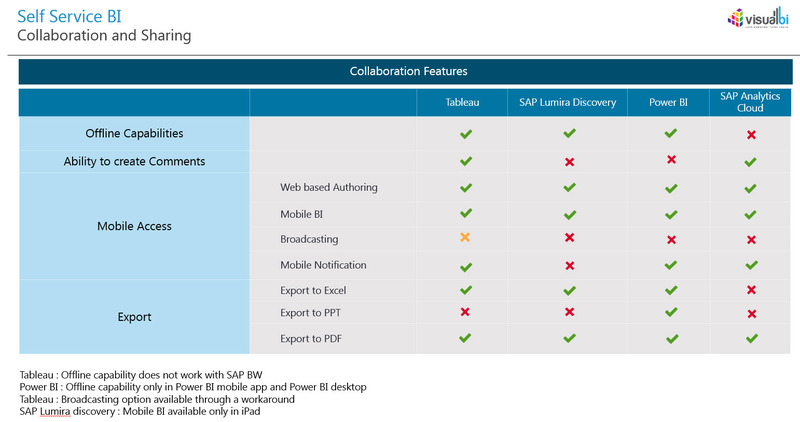 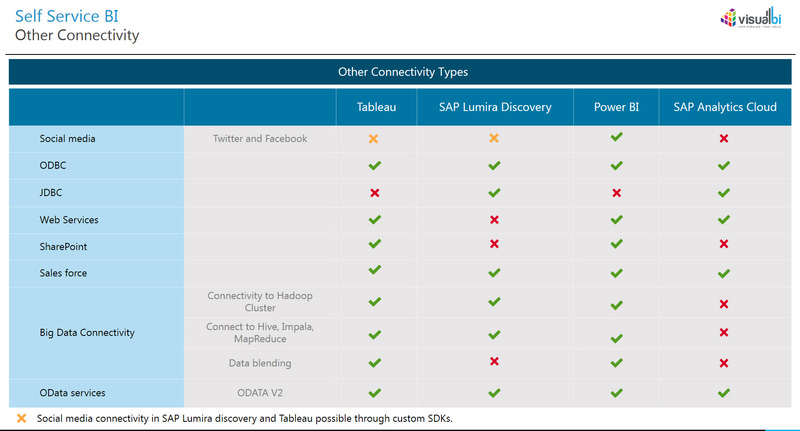 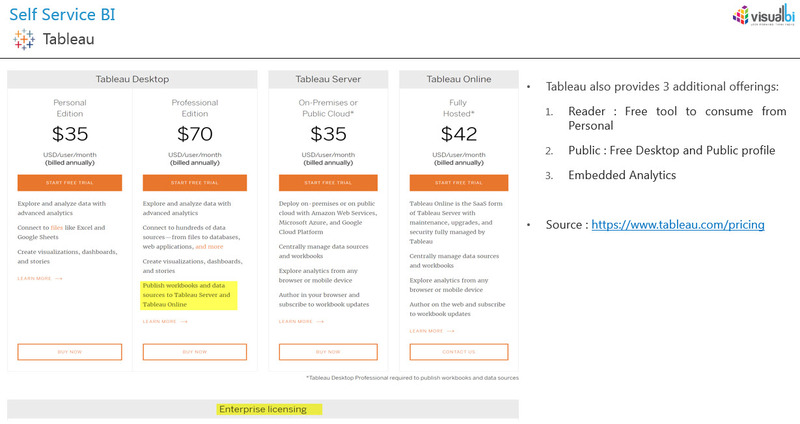 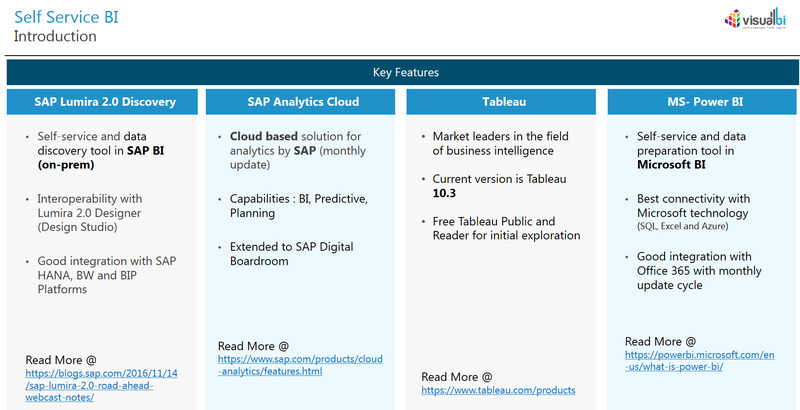 Comparing self service BI tools – how does SAP Lumira and SAP Analytics Cloud compare to Tableau & PowerBI? 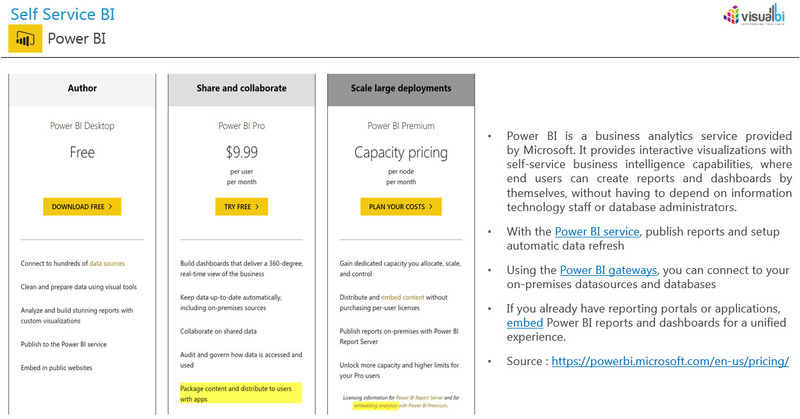 I am sure the replay will be available soon at their site. 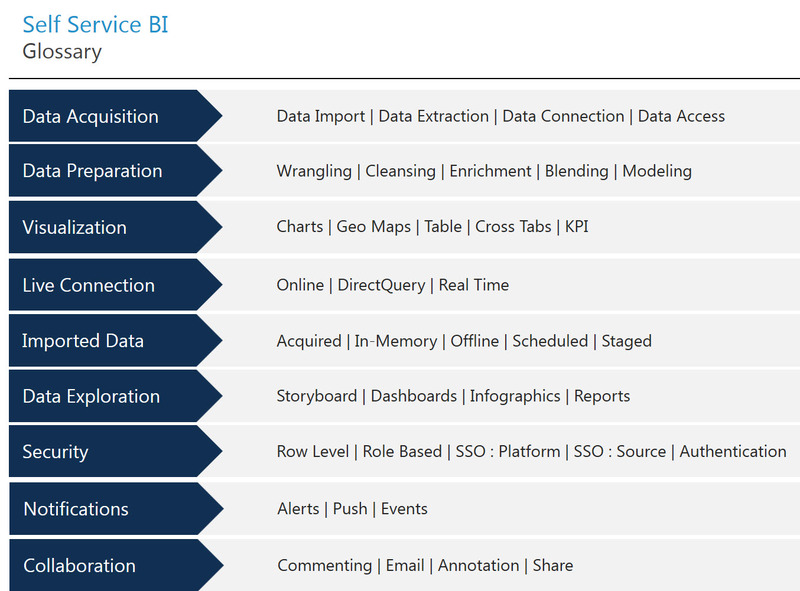 Who needs self service BI? 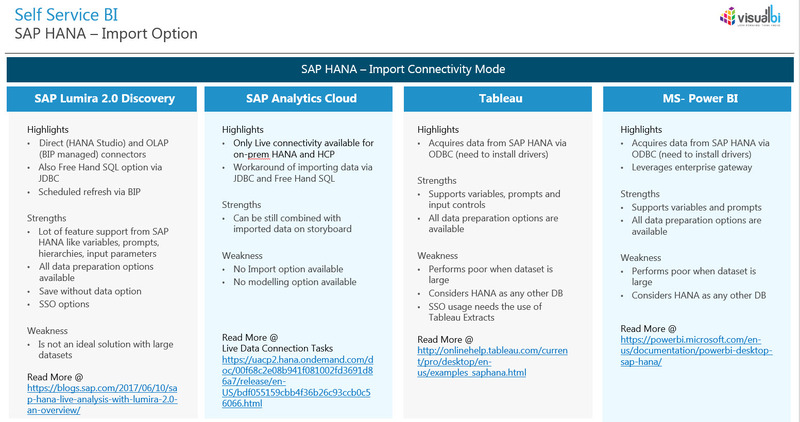 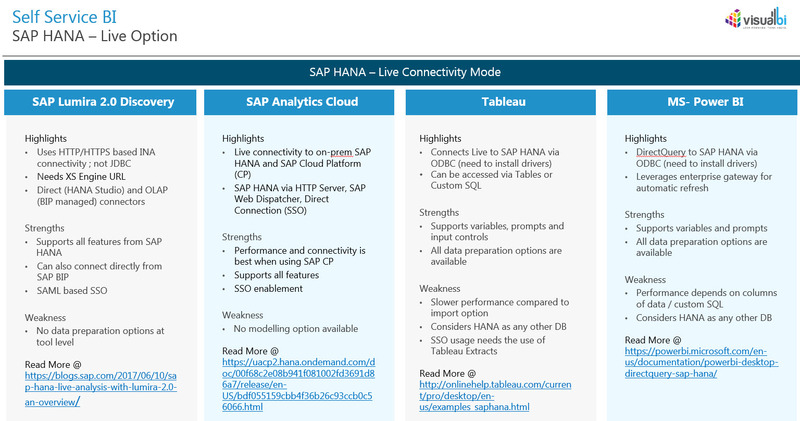 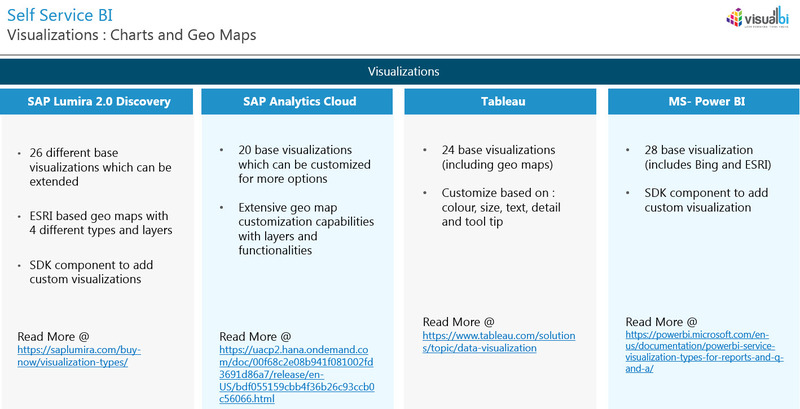 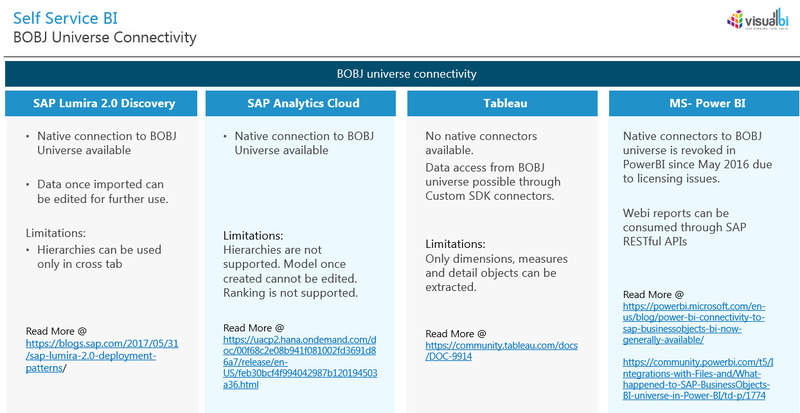 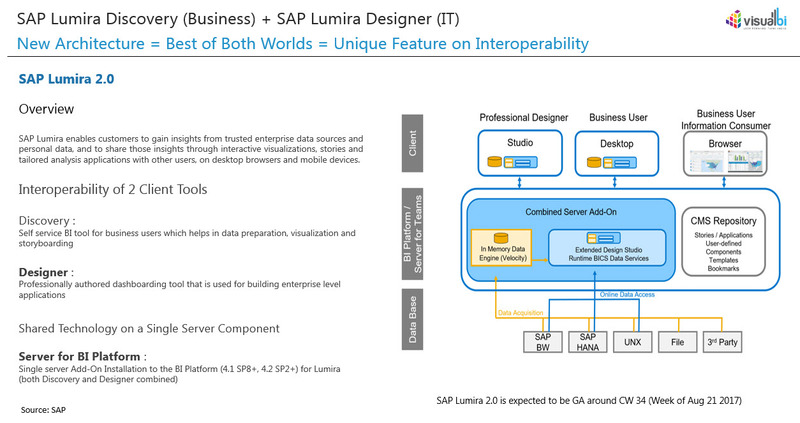 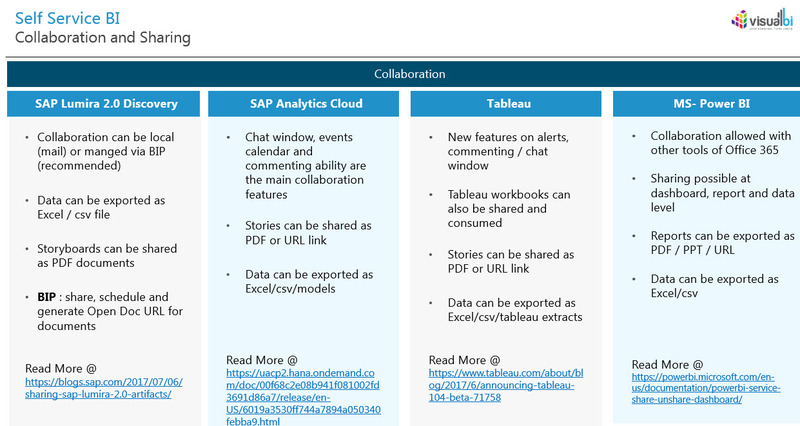 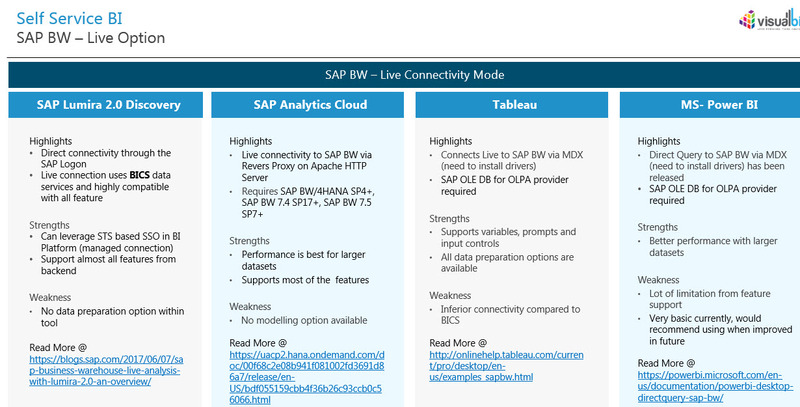 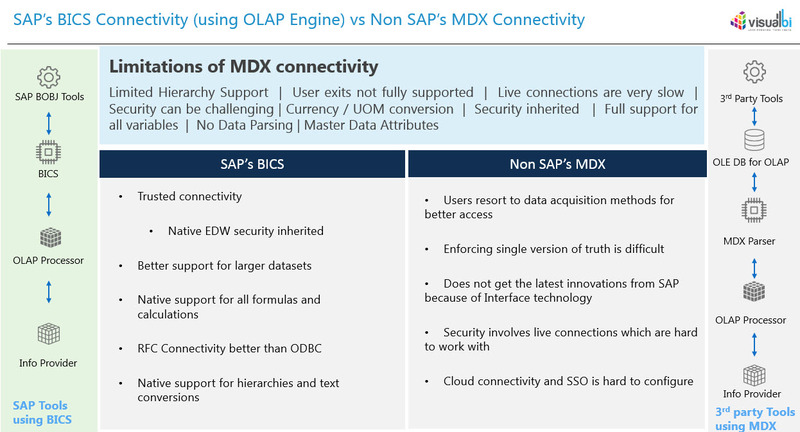 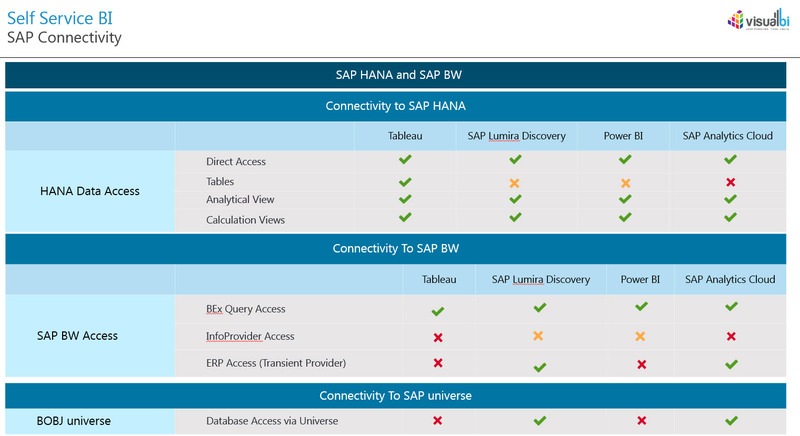 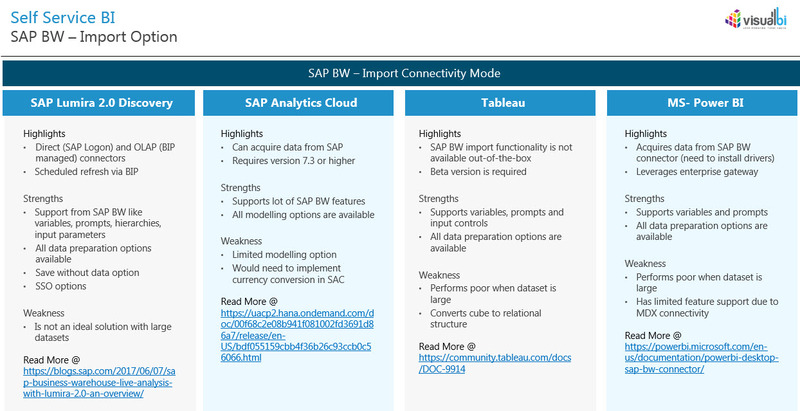 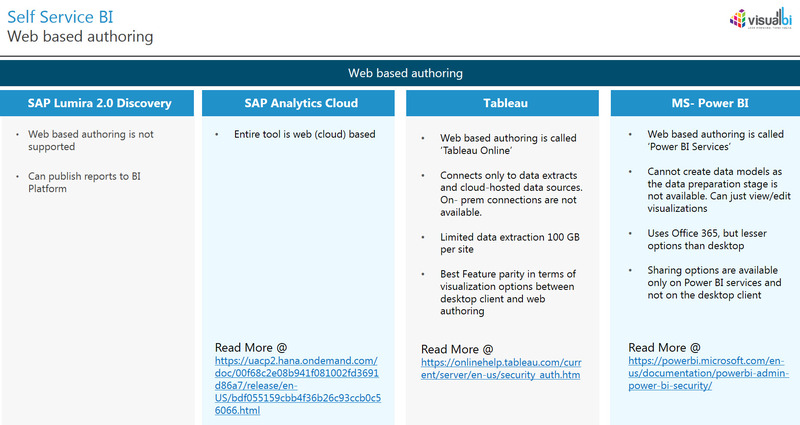 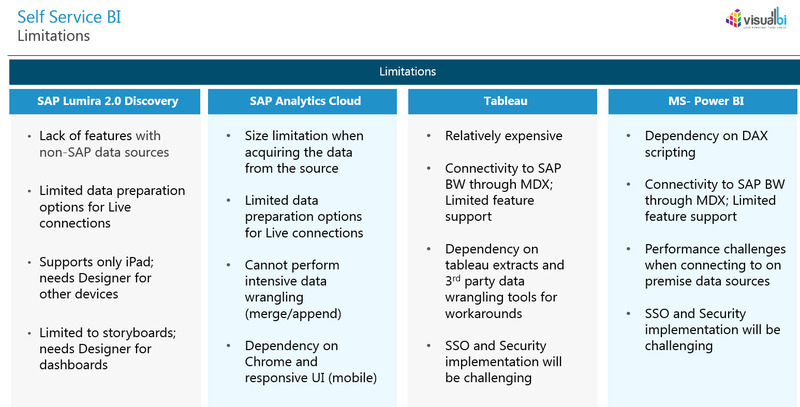 SAP Connectivity with the tools is covered in Figure 13. 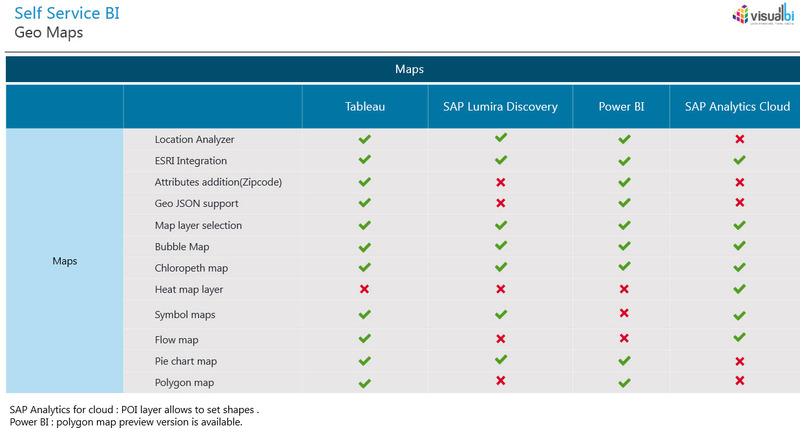 No notes on this slide, but this question arises in the Lumira tags here, so I am leaving it. 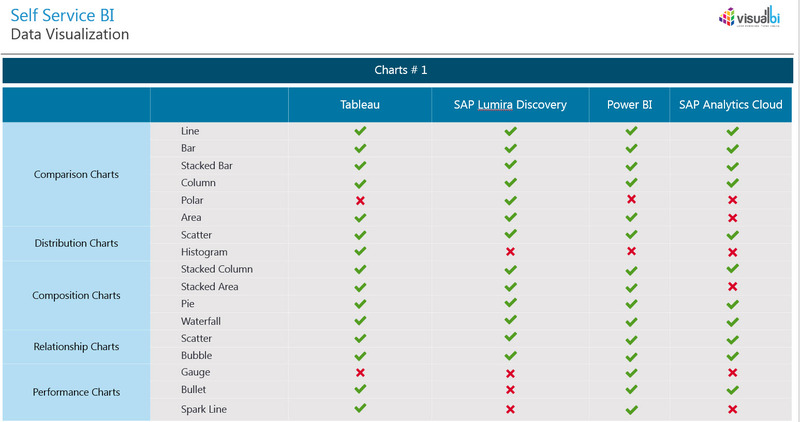 Nov 20 What’s new in Analysis Office 2.6?